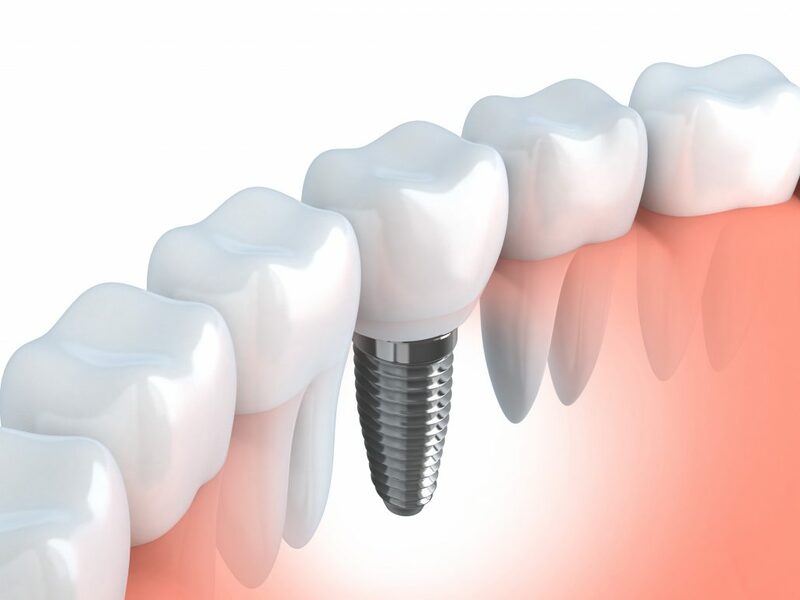 Dental Implants are titanium posts that replace natural tooth roots and support prosthetic teeth (crowns, bridges). The implants are placed in the bone under your gums. During a healing period, the bone grows around the implant. Then, a replacement tooth (crown) is made and attached to the metal post, giving you a restoration that is very much like your natural tooth. Implants can also be used to secure bridges and dentures when more than one tooth is missing. An entire mouth can be rebuilt using dental implants to support replacement teeth. The most natural results are achieved when a beautiful porcelain crown and bridge treatment is used in conjunction with precise implant placement. Usually, 6-8 implants on the upper and 4-6 implants on the lower are used to support an entire set of porcelain teeth. The teeth are cemented or screwed in and they look and feel just like real teeth. Learn more about implants and the dentist’s process!